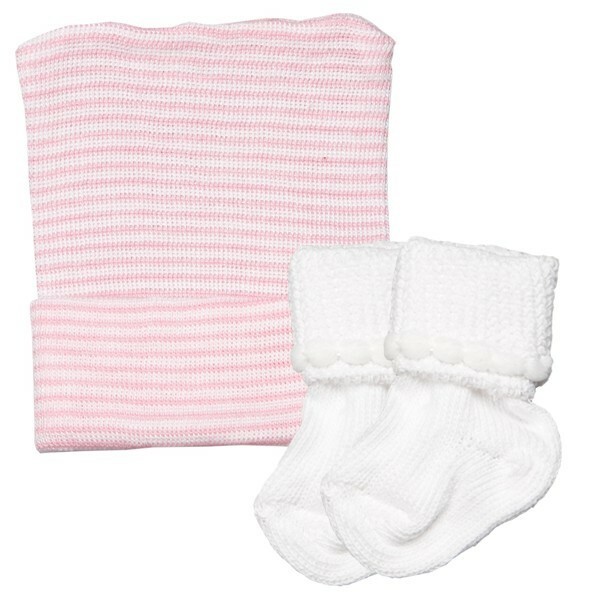 Our Single-Ply Baby Hat & Sock Set is sure to brighten up your maternity ward! 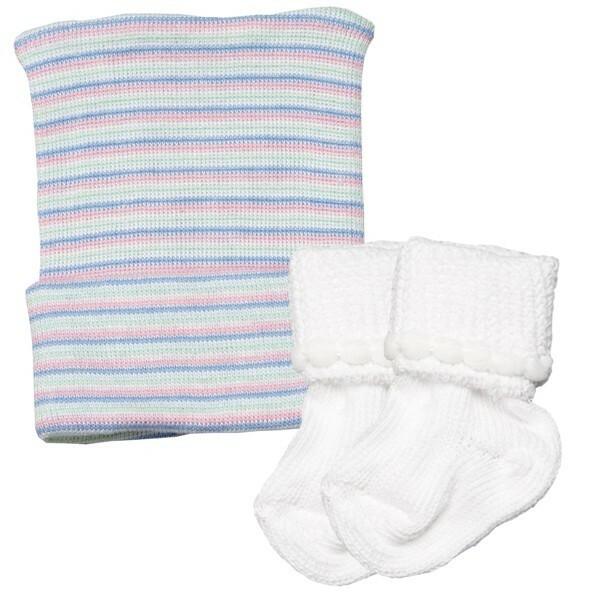 Newborn hospital hats are available in four great color options: Multi-Color (Pink, Blue, and White Stripes), 4-Color Multi (Pink, Blue, White, and Mint Green Stripes), Pink & White Stripes, and Blue & White Stripes. 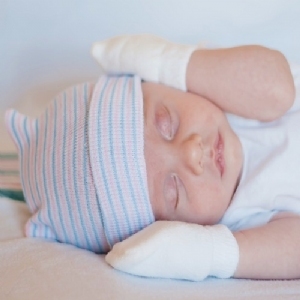 These hospital baby hats are great for keeping the babies in your nursery warm and comfortable. 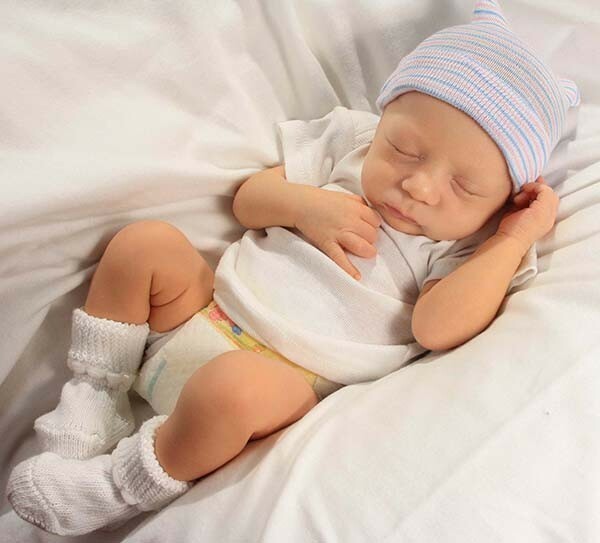 Our newborn socks are made of cotton and provide extra warmth for babies' feet. 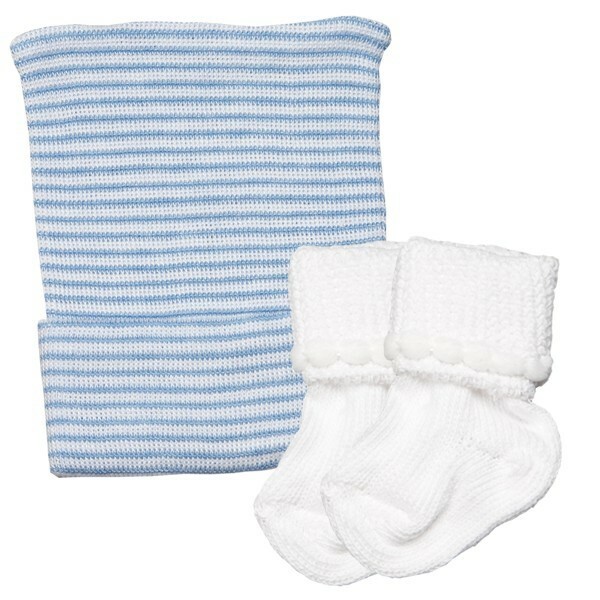 All socks come in white.